Viktor Yanukovych ran a divisive campaign for president of Ukraine in 2010. He portrayed his political opponent, Yulia Tymoshenko, as corrupt and threatened to jail her. He warned the election might be rigged and called on supporters to march in protest if he lost. He yelled about the corruption of the political elite and attacked his Western allies, calling instead for closer ties with Russia, with whom he had cultivated deep — and hidden — business ties. During his 2016 presidential campaign, Donald Trump had the same strategic advisor as Yanukovych did six years earlier: Paul Manafort. Trump excelled at driving political wedges between ethnic groups. He called for Hillary Clinton to be locked up. He insisted the votes against him were manipulated or miscounted, railed against America’s political elite, denigrated America’s allies, and called for closer relations with Russia. He also insisted he and his campaign had nothing to do with Russia, when, in fact, they had multiple contacts with Russians, and his company had been trying to develop business with Russia for years. On Sept. 14, Manafort pleaded guilty to two counts of conspiracy — counts that include money laundering, violations of the Foreign Agents Registration Act, and witness tampering — and agreed to cooperate with Special Counsel Robert Mueller’s continuing investigation into the Trump campaign’s potential links with Russia, thus avoiding a second trial. The plea agreement came after Manafort was found guilty last month of tax fraud, bank fraud, and hiding foreign bank accounts. In fact, Manafort’s guilty plea unmistakably brings us closer to the heart of the issue of cooperation between the Trump campaign and Russia. One reason is that Mueller now has a pathway (Manafort) to gain detailed insight into the campaign’s inner machinations, including the June 2016 Trump Tower meeting, the change to the Republican party’s long-standing platform providing aid to Ukraine, and who knew what about WikiLeaks and its dissemination of Hillary Clinton’s stolen emails. But the guilty plea itself makes clear that Manafort’s actions in and for Ukraine were in lockstep with the larger interests of Russian president Vladimir Putin, who we know sought to undermine democratic influence not only in Eastern Europe but in America — partly by skewing the U.S. presidential election in 2016 and by twisting America’s broader domestic political discourse. How did this convergence of interests occur? My experience as an intelligence officer tells me that Manafort’s unmitigated greed — namely his evident desire to earn money by almost any means — and his business practices — including money laundering and his frequent use of offshore accounts — highlight vulnerabilities that Russian intelligence officers could have exploited to their advantage, including while he was working for Trump. At the CIA, where I worked in the Directorate of Operations, we assessed a potential asset’s vulnerabilities using the acronym MICE: Money, Ideology, Coercion, and Ego. A good intelligence officer finds a way to use those vulnerabilities to leverage the asset to work on her behalf. Manafort had multiple vulnerabilities, the plea deal and his earlier conviction make clear. He liked money and hid a lot of it. Prosecutors at his first trial highlighted Manafort’s extravagant lifestyle, trotting out exhibits showing he spent a million dollars on clothing at a single store, bought a $21,000 watch, spent a million dollars on Oriental rugs, used millions to buy and renovate real estate, and shelled out $15,000 on an ostrich leather jacket. Yanukovych, too, lived an opulent lifestyle, particularly for a lifelong public servant. After he was forced from office in February 2014, Ukrainians stormed his residence and discovered luxury cars, an 18-hole golf course, a presidential sauna, and a private exotic zoo, which included several ostriches (no word yet on how Yanukovych, or his ostriches, felt about Manafort’s jacket). Elsewhere, investigators for the new government found a ledger outlining $12 million in unofficial payments to Manafort. So we know that Manafort had extensive ties to important people, some of whom were in their own compromising situations. Any intelligence officer would salivate over the situation. Manafort was, quite simply, a ripe target to be exploited. Yanukovych and the Party of Regions, Manafort’s clients, had a political agenda aligned with Russia’s and influenced by a flow of Russian money. The most glaring example was Yanukovych’s decision in November 2013 not to sign an agreement with the European Union — despite popular support for it — and to push, instead, for closer ties with Russia. The move set off a series of protests that nearly led to a civil war and ended with Yanukovych’s ouster in February 2014. He fled Ukraine and remains in exile, notably, in Russia. Manafort and his partners pushed that same pro-Russia political agenda with U.S. policymakers and the American press. Manafort aimed to clean up Yanukovych’s image in the West, convincing policymakers that his jailing of Tymoshenko was not politically motivated, for example, and that Yanukovych was the best leader to organize Ukraine’s relationship with Europe — exactly as Putin wanted. Ukraine was not the only place Manafort promoted a Putin-friendly agenda. According to the Associated Press, Manafort signed a contract in 2006 with Russian oligarch and Putin friend Oleg Deripaska. Deripaska would pay Manafort $10 million a year to develop and execute an influence plan that Manafort promised would “greatly benefit the Putin Government.” The Wall Street Journal has reported that Manafort carried out similar pro-Russian influence operations in Georgia and Montenegro, two other countries Putin has been keen to keep on a tight leash. This type of lobbying and spying are similar. They both focus on gathering information helpful to one’s objective and influencing and manipulating people to do one’s bidding. The only real difference is deniability: Intelligence agencies like to hide the fact that they are behind the influence. Lobbyists often don’t, but Manafort did. 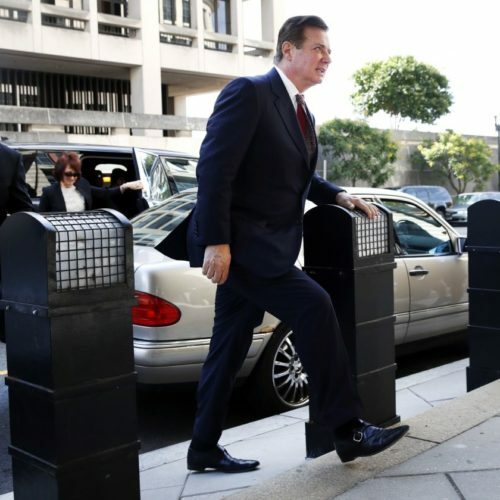 As the charging documents state, Manafort hid that he and the government of Ukraine were behind efforts “to influence both American leaders and the American public.” He viewed “secrecy for himself and for the actions of his lobbyists as integral to the effectiveness of the lobbying offensive.” Manafort and his partners even used other companies and individuals as sort of cut-outs, allowing them to influence policymakers “without any visible relationship with the Government of Ukraine,” according to the statement of offenses. This all brings us to the question of potential collusion involving Trump aides. Why did Manafort — a man who loved money — agree to work for Trump for free? We have to ask: Was someone else paying him in some form? Were the loans he received from Deripaska or others connected to pro-Russian interests really meant to be paid back? Or was Manafort in debt to these people, and thus vulnerable to coercion? Manafort’s lawyers have denied he colluded with the Russian government. But his relationship with Deripaska — including a financial debt that Deripaska wound up pursuing in the courts and Manafort has denied — begs questions of what exactly he owed to people close to Putin. Alex Finley (@alexzfinley) worked for the CIA from 2003 to 2009 and later wrote “Victor in the Rubble,” a satire about the CIA and the war on terror.